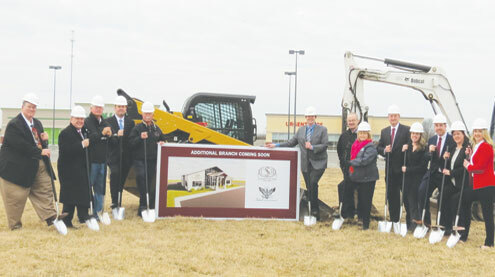 Community State Bank of Missouri held a groundbreaking ceremony for their newest banking facility on Tuesday, March 12. Community State Bank is a locally-owned and operated financial institution that was founded in 1887 as the Bank of Curryville. It was founded on solid business principles and good management. The bank operated in Curryville until 1945 when John McIlroy Sr., Sen. Edward Long, and a group of investors bought it and moved it to Bowling Green. The bank’s facility located on the square will continue to serve as the main banking facility. A branch was opened in Troy in 1998. The new location in Bowling Green Town Center will serve as the bank’s second branch and third location. The bank has grown from humble beginnings of $10,000 to the current footings of $237 million. The board of directors currently includes John M. McIlroy Jr., chairman of the board; William C. McIlroy, president; Margaret M. Goodin, secretary; Paul B. Hill, and Mark A. Goodin. The board of directors is comprised of local individuals who are directly interested in the growth of our community. Community State Bank receives deposits from local individuals and companies that do business in the community. The board is proud to be reinvesting their money in the local community with this expansion. 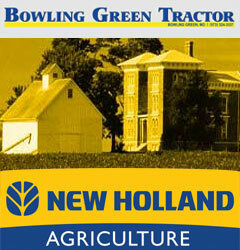 The expansion will offer old time traditional values with modern up-to-date training and equipment. Interactive teller machines (ITM) will be located in the traditional drive-up area of the bank and will serve as the drive through teller. The ITM will serve as an ATM machine and a teller. The building will have a traditional design as shown on the artist’s rendering. The bank has hired Federal Construction to oversee the construction of the new facility. The goal is to provide better banking services for all. Community State Bank of Missouri is proud of their heritage and proud to have served the local community for more than 130 years.